For Hanna Hawkins, scoliosis was just another bump in the road. 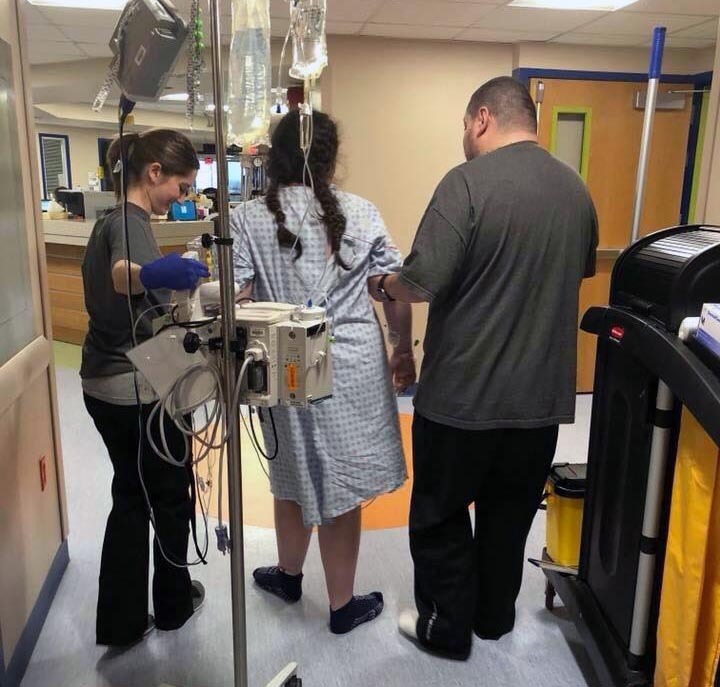 After receiving spinal fusion in January, Hanna finished 6th grade this month and says her quality of life has immensely improved. 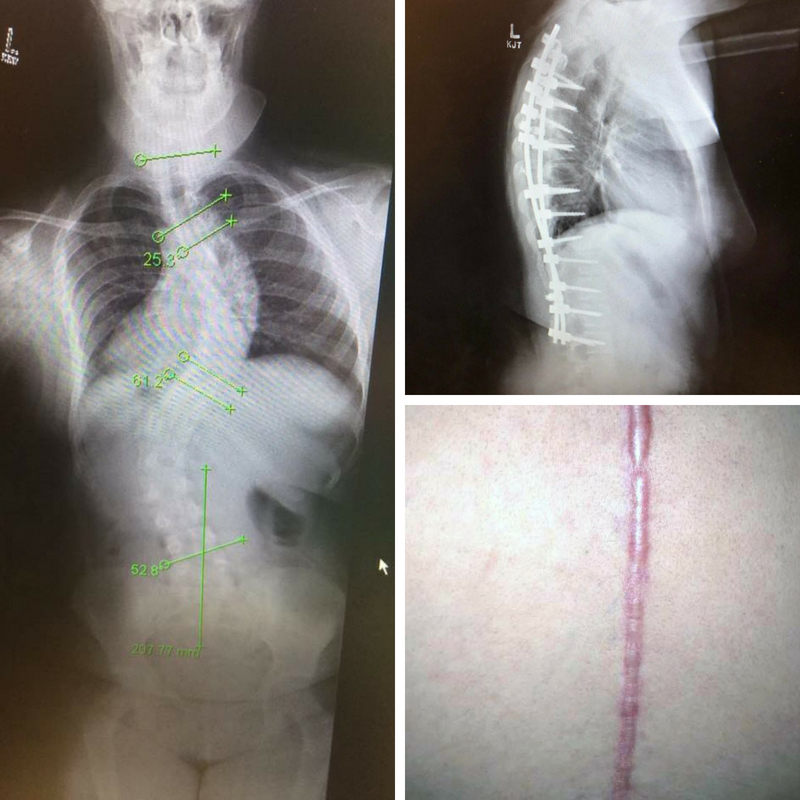 To her parents, Hanna is their scoliosis warrior. “We never allowed her to look at scoliosis as something that would stop her from doing anything she wanted,” said Hanna’s mom, Casey. Hanna stands with Dr. Mark Adamcyzk. 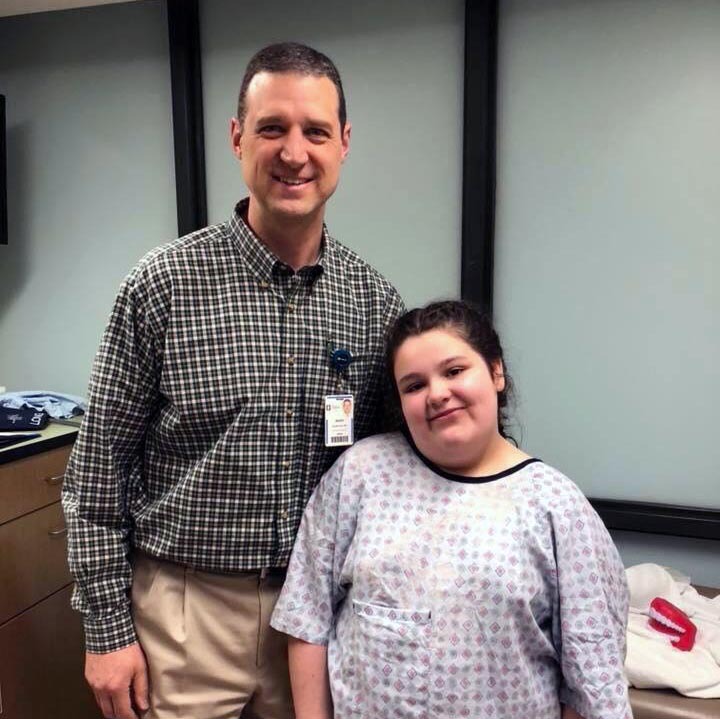 Dr. Mark Adamcyzk, from Akron Children’s Orthopedics, saw her through every step of her scoliosis surgery and journey. Hanna’s mom Casey says Dr. Adamczyk made them feel at ease from the start. This is Hanna’s x-ray pre-surgery, taken on her 12th birthday in September 2017 when she was first diagnosed. The curvature was 55-degrees in the lumbar area and 66-degrees in the thoracic area. The scoliosis was first recognized as a checkup in August 2017, when Hanna’s pediatrician immediately referred her to Akron Children’s. Hanna walks for the first time with her dad and physical therapist. 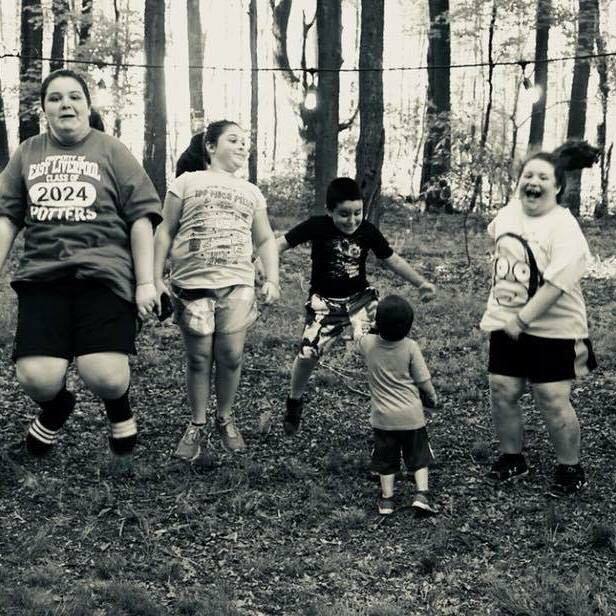 Hanna is the oldest of 5 kids – Haleigh (11), Cheyenne (9), Steven (8), and Joshua (2). 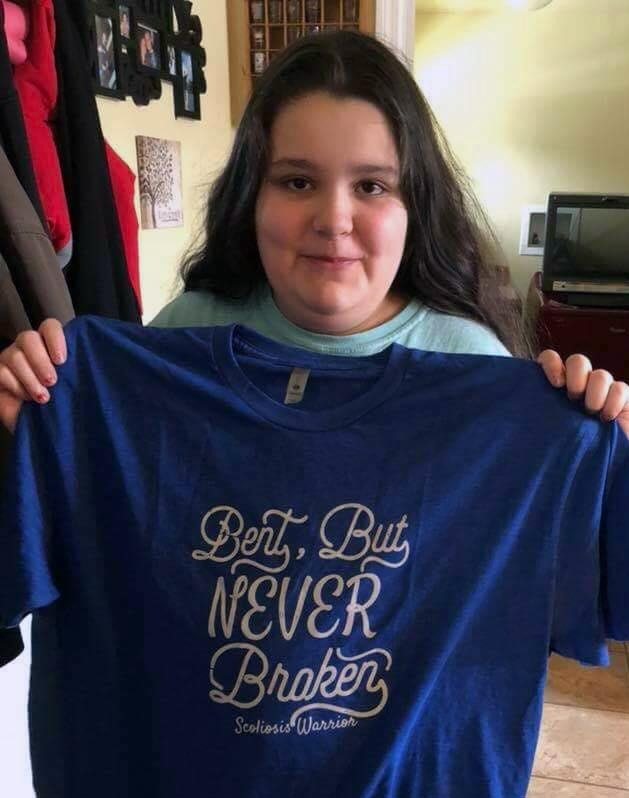 Hanna’s parents, Casey and Steven, bought her this “Bent, but never broken” T-shirt to remind her she is their scoliosis warrior.